In Essence, it’s All About Storytelling. Brands are like people. Each one different, each unique. Each with its own sound, look, values, challenges, and successes. Every brand has its own story. Building the elements of your brand strategy starts with clarifying who you are and what makes you different, then finding modern, effective ways to communicate with the world and connect with people. This first building block is essential. Are all of your marketing efforts purposeful? Are the steps you take calculated and thoughtful? Our approach is to clearly define who you are and what you do before developing assets to maximize your market awareness and make our collaborative efforts that much more powerful. Once your brand is defined, we tap into to our creative writing skills to craft that perfect intrinsic messaging that sums up your story and value proposition in a way that is clear – yet compelling – and then we help you implement your new voice across all mediums. Next we take a look at how your brand is portrayed visually. What is the meaning behind your logo? The intention behind your fonts and colors? Does the aesthetic of your online presence and marketing collateral reflect what it should? We come up with a plan for what needs to be updated and make sure the enhanced look and feel is consistent everywhere. Modern content should be enjoyable. Clickable. Social. It should be relevant, authentic, simple, tell your story, and win people over. Content is our specialty. We know the when, where, why, and how of digital content. When auditing and crafting your content, we consider all of the modern best practices and trends in user experience, design, and SEO. We tell your story through modern website design, creative writing, social media campaigns, video production, beautiful design, email marketing, and more. Modern consumers are both blessed with and burdened by choice, and make decisions based on peer recommendations, user-generated content, brand transparency, activism, and passion. To earn their trust and convert customers, donors, or influencers into brand advocates, we need to focus on spreading awareness and developing meaningful relationships. It’s not enough to have great branding. It’s about great service and what that means today. What takes it to the next level is proactively engaging and delighting your social communities. Online, that means crafting content that will resonate, acknowledging reviews, quickly responding to social media posts, answering questions, celebrating your community, and capitalizing on the power of brand advocates. Offline, that means hosting fun soirees that bring people together in the name of your brand. A great campaign has the power to influence, move, and inspire. We can help you plan a fundraising event, create media buzz, manage a winning social media campaign, and so much more. How? It all comes back to great ideas, great content, and the way we package everything together to resonate with your audience. We meet to discuss your story, mission, and existing marketing collateral and plan the projects at hand. We get to work on crafting and creating, produce content to review, and incorporate your feedback. We polish the content and design and deliver a final product designed to grow with you into the future. Whether you are about to launch a new business or need to clarify your existing brand, we can help you create brand standards to ensure complete uniformity in style and grow awareness, understand your unique voice in the marketplace, and build a custom strategy to make sure you are taking advantage of all the assets that will help propel you to the next level. Your brand strategy should consider digital media, graphical assets, and marketing collateral. Whether you need an umbrella strategy for managing your communities, want to run a special campaign to promote a fundraising effort, event, new product or program, or simply want to generate new interest in all the great things you’re accomplishing, we can help. We do our homework on your brand, industry, and competition and collaborate with you to create an editorial calendar that will roll out meaningful content for your audiences and rally community. From writing press releases and advertising headlines to naming brands to crafting a voice for the medium and purpose at hand, every organization needs a great writer. We write for modern audiences and specialize in what translates well for online readers (hint: it should be clear, concise, and compelling). 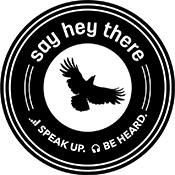 Stay fresh and hire Say Hey There LLC to write everything from the copy on your website to the human interest stories in your newsletter. We marry your mission, vision, and goals with our creative concepts to create compelling, beautiful video stories for use in brand awareness and marketing initiatives. We’ll handle everything from the creative direction to planning and scheduling out logistics to video production and editing to delivery and host recommendations. We can even step in to help you determine the best ways to use your video and get it out in front of the world. We can guide you through the website-building process from start to finish, from finding a modern, responsive design that will work beautifully on all devices to crafting great content to managing hosting and domains and setting up you@you.com email addresses through Google’s G-Suite. You’ll end up with a great looking website built on the robust WordPress platform that will grow with you and your evolving needs well into the future. There is purpose behind the images, colors, typography, and style we choose to represent a brand. Everything from the fonts used in promotions to the hues of a color to to the lines and meaning behind your logo’s emblem or symbol can have a significant impact on your business. If your brand needs to overhaul the look and feel of its marketing collateral (think brochures, letterhead, and business cards), polish or recreate a logo, or design an ad, we can help. To engage your audience, sometimes we have to move away from the computer and bring people together in the flesh. We can consult with your event planner to make sure you’re incorporating creative brand elements and all 5 senses into your event and its promotions, whether it be your shop’s grand opening, business launch party, nonprofit community event, or new product or service celebration. We’ll also help you incorporate digital tools to help your offline event spread online. What’s in a name? Only everything! Need the perfect name, tag line, or hashtag for your new brand, campaign, program, or something else? We have a way with words, and our collaborative, laid-back branding brainstorm sessions will win your team’s buy-in and get the creative juices flowing. You’ll end up with a sensible, one-of-a-kind, strategic name. We are a Google (G-Suite) partner! G-Suite allows your organization to have professional email addresses, access to seamless collaboration tools, online storage, shared calendars, video meetings and more. Contact us for more information on why more and more organizations are making the transition to G-Suite, or sign-up your organization for a free trial today. With our partnership model, we work together in a variety of facets on a longterm basis to continuously improve marketing initiatives and introduce new creative projects that will help us meet our goals and financial objectives. We collaborate to create, publish, manage, and analyze content across all mediums. In addition, we serve as a consultant to help you stay on-brand with everything from social media imagery to merchandise to proper logo use. Our ultimate goal is to help you maintain a solid brand strategy with a leading online presence and inspire community engagement. Say Hey There is the perfect complement to your internal marketing team and a high-quality alternative to a fully-staffed creative agency, nestled in that sweet spot between experience and affordability. We bring in Omaha’s best creatives, pride ourselves on our digital craftsmanship, and are able to provide services at a lower fee because we have no overhead. We don’t believe in pre-built packages. We draw upon our proven processes to carefully craft your content and strategically build a program designed specifically for you. As the Founder of Say Hey There LLC, Mikala draws upon her background in branding, creative writing, and content strategy to help client partners manage a brand strategy, tailor messaging, prepare compelling content, launch social campaigns, and rally community. Mikala also serves the local arts scene as a board member of the Omaha Entertainment and Arts Awards and supports the independent hip hop community as a music journalist. When we opened our doors four years ago, we turned to Say Hey There to help direct our marketing and branding strategy. To this day, whenever we need creative support, updates to our website, branded materials, etc., we always look forward to working with Mikala. She is an expert in her field, very reasonably priced and responds immediately to our inquiries. During my time as a Say Hey There intern, I got to practice and improve my skills as a videographer by working on real projects with real clients. Not only did I have the benefit of learning the technical side of digital content creation, but I also gained invaluable experience with the social side of digital marketing under Mikala’s mentorship. After my internship, when I went on to create content for my own clients, I felt wholly prepared to solve creative problems and give my clients the videos they needed. I worked with Mikala Harden for several years during my time as the President and Executive Director of a large nonprofit in the Omaha area. She helped us develop our brand and creative assets and ensure consistency across all mediums, which contributed to the organization’s growth. She led our marketing and digital strategy and the quality of her work was consistently excellent. Mikala has been a real asset to the First Responders Foundation. The level of professionalism and consistent engaging content that Say Hey There provides is unparalleled. I really enjoy working with Mikala and I look forward to continuing in the future. 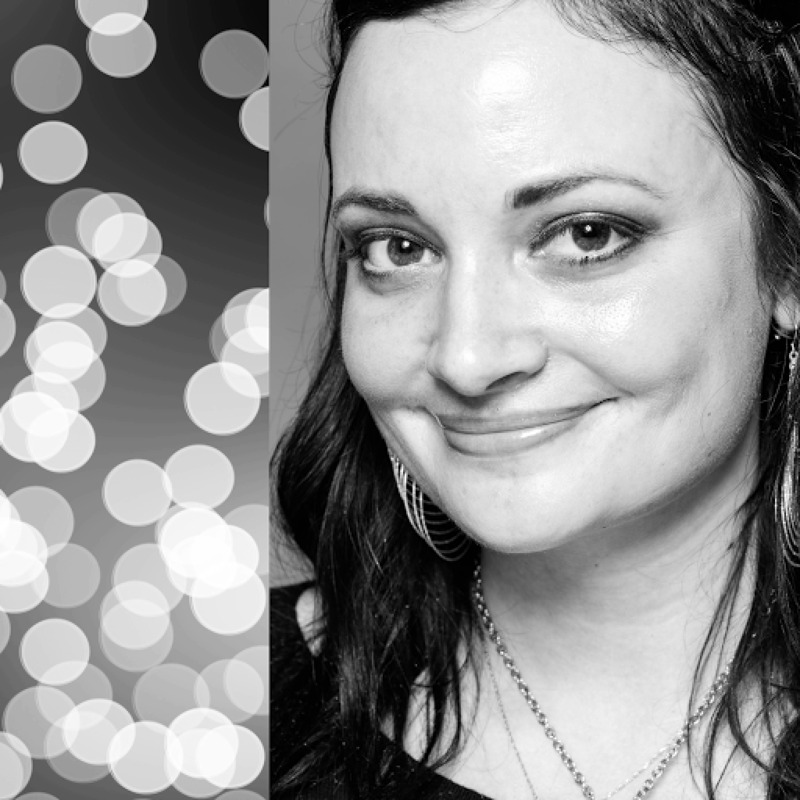 Mikala is passionate about music and about the creative community here in Omaha. If you ever need any sort of help with marketing, graphic design, web development, branding, strategy, etc, I highly recommend Mikala and Say Hey There! Mikala is among the most determined and talented people I’ve met. She is a knowledgeable and savvy marketing and creative professional who is as great with people as she is at crafting solutions that produce results. Mikala is fun to work with, and she brings tremendous energy to everything she does. Since our website re-design and new marketing rollout in September of 2014, we could not be more impressed with Mikala and the job she does. She has exceeded our every expectation and would recommend her and the job she does to anyone looking for a long term relationship with an expert in her field. Mikala has become a very important part of our Foundation and is 100% immersed in our success. Say Hey There will be the best marketing decision you will make. Mikala is the best! She knows what she is doing and does it well. She will give you the true answer even if she knows you don’t want to hear it and over the years I haven’t always encountered that kind of honesty in the marketplace. Great computer skills and has helped me whenever she takes one of my emergency calls – because it is always an emergency. When I first met with Mikala, she knew exactly what we needed to bring our brand to life. She asked questions that drove to our company’s essence and message—what we wanted to share with the world—and crafted our brand from there. Mikala and her team at Say Hey There created our online presence and streamlined our communication process with clients and amongst our staff, and helped us present our story and our services consistently across platforms. We simply could not be more pleased with our decision to partner with Say Hey There in making our brand a reality. If you want to have an amazingly personal experience with outstanding results Say Hey to Mikala. A true professional with an eye for detail and voice, her work speaks for itself–and for her customer. 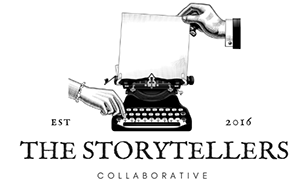 PROUD MEMBER OF THE STORYTELLERS COLLABORATIVE.